SportsBetting.ag Review - Are They a Legitimate Casino? Or is it a Scam? 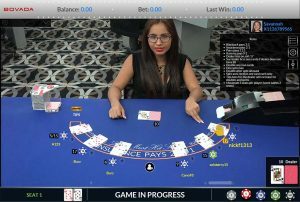 Licensed in Panama, SportsBetting.ag has been around for close to fifteen years now and even though its main focus is on sports betting, it also offers casino games and poker to its patrons. This is also one of the very few sites that accept customers from all 50 US states. SportsBetting.ag have been around since 2003 and as such have developed a solid reputation of treating their customers fairly and providing great service. However, they are a sister site to BetOnline who acquired SportsBetting.ag back in 2012 and has historically been reported for cheating players which you can read more about here. While BetOnline have certainly tried to clean up their act, their most recent suspicious activity occurred not long ago in February 2017 where a viral video showed a live dealer “second dealing”. The formal response from BetOnline can be found here which I will leave up to you to read and come to your own conclusion. Sportsbetting.ag is licesnsed in Panama and has been accepting players from all fifty US States for most of its existence without any trouble. As far as legality goes, there should be no problem for customers. The minimum and maximum deposit limits vary by the method being used. These also keep changing so we recommend checking them out on the website at the time of deposit. We are not fans of fees on withdrawing winnings but it seems to be becoming more of an industry standard nowadays (unless you use bitcoin). Sportsbetting does offer a $50 discount on the withdrawal method of the customer’s choice every 30 days. The catch being that the request must be made on a Friday. 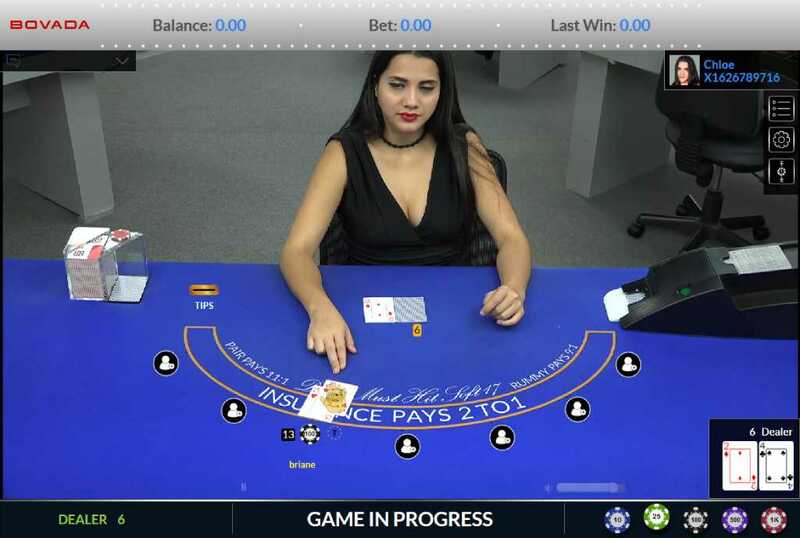 Sportsbetting.ag has a partnership with BetSoft and Visionary iGaming and is therefore able to offer more than 150 casino games powered by their software. Blackjack, slots, and all the other hits are covered along with enough variations to keep most players happy. Here again, though, players must be a bit wary of BetSoft games because they have been pulled from several casinos. The issue with their games seems to be an inability to hit the progressive jackpot due to a ‘programming error’. There has also been a report of a progressibe jackpot being denied because it was hit in the bonus round. This does not elicit a lot of confidence in players because having a fair shot at winning is something that players take for granted when putting their money on the games. We think players should be careful while playing BetSoft games and definitely steer clear of progressive machines. There is an $125,000 limit on withdrawals per week although certain jackpots, and promotional offers are excluded from this total. The total withdrawal limit is very generous compared to most other online casinos and is a definite plus for the high-rollers. Sportsbetting.Ag offers Single Deck Blackjack, European Blackjack, Multi-hand Blackjack, and Pontoon. This variation pays out blackjack at 3:2 and is played with one single deck. Players can double on 10 or 11, and the dealer must hit on a soft 17. Re-splitting of Aces is not allowed and neither is surrender. The house edge on this variation is 0.38%. Played with a total of 6 decks that are cut in half to prevent card counting. The payout is 3:2, and there is no re-splitting of Aces or surrender. The dealer must stand on a soft 17. Players are allowed to double on 9 to 11. The house edge is 0.66%. Very similar to European Blackjack, this is also played with 6 decks that are cut in half. The payout is 3:2 and no re-splitting of aces or surrender is allowed. Players can double only on 10 or 11. The dealer must stand on a soft 17. The payout for this game is 2:1 and it is played with a total of 8 decks. Players can double on any two numbers, There is no re-splitting or surrender. The dealer must hot on a soft 17. The house edge in this variation is 0.81%. There are some decent live blackjack options at SportsBetting.ag. Players can play on the early payout table which has three table limit categories starting from a $5 minimum bet. An unlimited number of players can play this game and there only three spots on which everyone can bet. The end result is a game that moves very quickly also allowing you to play multiple hands at the same time. There is no surrender on this version of live blackjack so the house edge is a little higher. 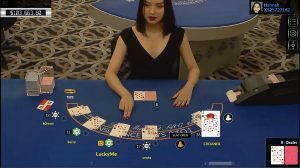 The other regular blackjack tables offer higher stakes and the option to allow surrender as well. All the live blackjack tables at SportsBetting.ag are played with 6 decks which cut in half to prohibit card counting. There are no re-splits, the dealer must hold on a hard 17, players can double on any card and so the house edge ends up being a reasonable 0.58%. I first started playing on Sports Betting four or five months ago. I deposited through Bitcoin to play poker as they have some lively pot limit omaha games, and one of the things that really impressed me about this site was that when I made my first withdrawal they didn’t even ask for ID, they just paid me out in Bitcoin. Unlike credit card transactions, Bitcoin purchases are nonreversible, so there is really no reason for an online casino to make you verify your identity if you are only purchasing with Bitcoin. Later on, when I did use a virtual credit card to make a deposit, they did ask me to supply my ID as well as proof of my ownership of the card, in that case, a screenshot, but the process did not take very long and I was rapidly approved to cash out. At this casino, I played just poker (mostly cash games and also satellites into their big 50k and 100k guarantee tournaments) and live dealer blackjack. Overall I am up a little over five hundred in the six months that I have been playing there. There are a few live dealer tables at SportsBetting.ag but the early payout game is the fastest. There are only three spots and everyone can bet on them. 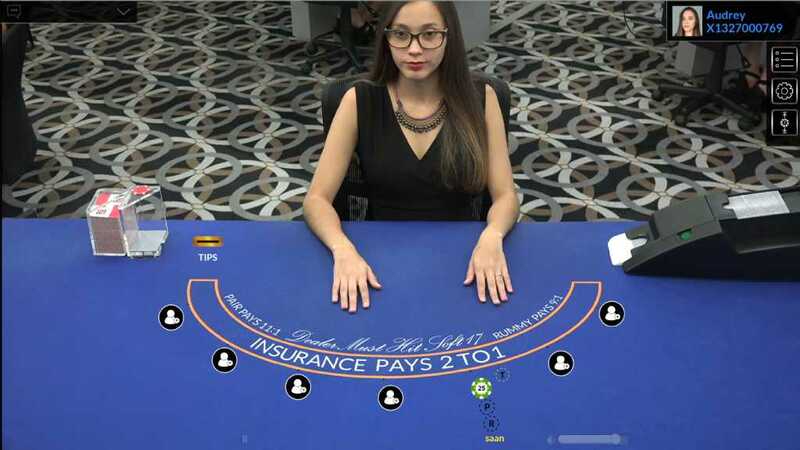 This format leads to significantly more rounds per hour and unlike the other tables allows you to play multiple hands at the same time. While the house edge is slightly higher in this game because of the lack of surrender the significant increase in hands played per hour makes up for the increased initial disadvantage. 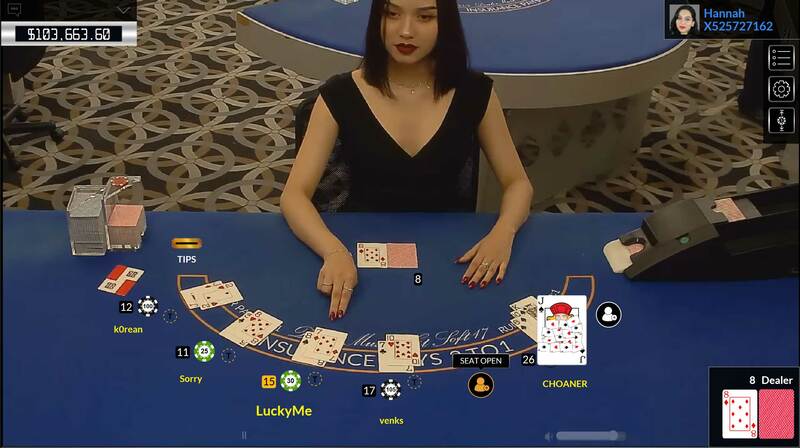 You will have the opportunity to place four or five times as many wagers in a given time period on the early payout tables because not only can you play three hands instead of just one but you also get more rounds per hour because there are only three spots being played instead of five or six. Unlike most online blackjack games which are dealt with eight decks, SportsBetting.ag uses a six-deck shoe. Unfortunately, like most online blackjack games they cut it in half. They also explicitly prohibit card counting and claim they will confiscate any winnings if they find out you are counting. Whether they make good on this promise or if this statement is simply a scarecrow to chase away sharp action is unclear. 6 deck, H17, DAS, DA2, no resplits, LS, peek. All in all the games are reasonable enough for an online live dealer game and being able to play a six-deck shoe (or at least the first three decks of it) is a nice perk. The games definitely seemed to be fair. One big advantage to online play, aside from the fact that you can hit up a game from your living room, is that you can back count shamelessly. SportsBetting.ag does time you out if you observe for too long without placing a wager, but you can simply immediately reopen the table and resume your count without being unduly disadvantaged. Of course, I did have to try out the games for myself. I waited until the running count was at +11 with one deck dealt for a true count of plus two and then threw down with three five-dollar table minimum wagers. Sadly, I lost all of them, and on the next round I lost two bets and pushed one. That was a quick twenty-five bucks! I dropped down to 2 hands because I had only brought fifty dollars with me from the poker room to the casino. You have to manually transfer money around between the poker room, sport, book and casino for some reason. On the next hand, I got blackjack and an eight and a two for a total of ten. One cool thing about this site is that whereas most places if you do nothing your action counts as a stay, here if you do nothing then it auto-plays your hand according to basic strategy. As my preferred decision coincided with the basic strategy play in every hand I simply let the machine play for me. Unfortunately, while I did make 20 on my double down, so did the house and we pushed. I ended up losing seventeen dollars and fifteen cents, a total of three and a half bets, and called it a day. In conclusion, the SportsBetting.ag game is par for the course as far as online live dealer games are concerned. Six decks and late surrender are a plus, as well as the game speed of the early payout game, but their avowed policy of confiscating the funds of card counters is a pretty big red flag so you should probably avoid playing there for any serious money.